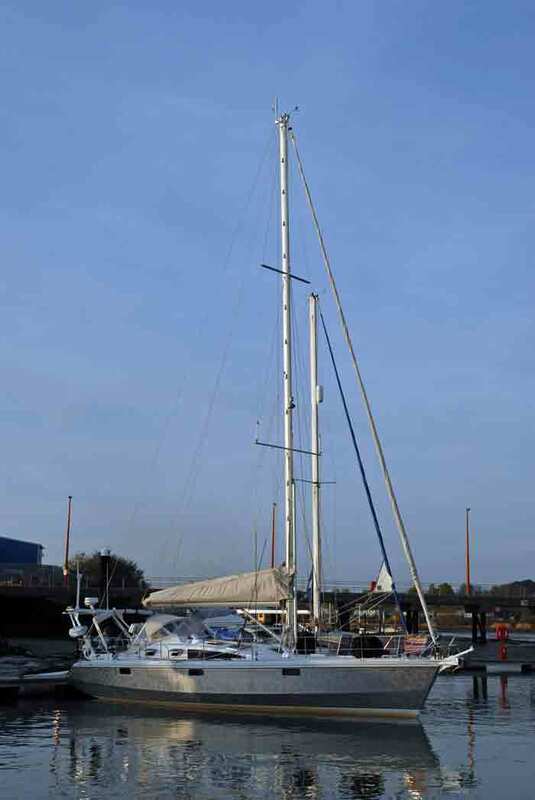 an OVNI435, French built, Aluminium hull, Sailing Yacht which we bought in Guernsey in February 2007. The plan is to Sail through the French Canal System to the Mediterranean Sea and then go where the wind, currents and whim take us. Vagabond was 18 months old when we bought her - having been very well looked after by Paul and Mo based in St. Peter Port, Guernsey.